Navigating the changes that come with age and the inevitability of death can be difficult, especially in cultures where the wisdom of elders is not typically revered. 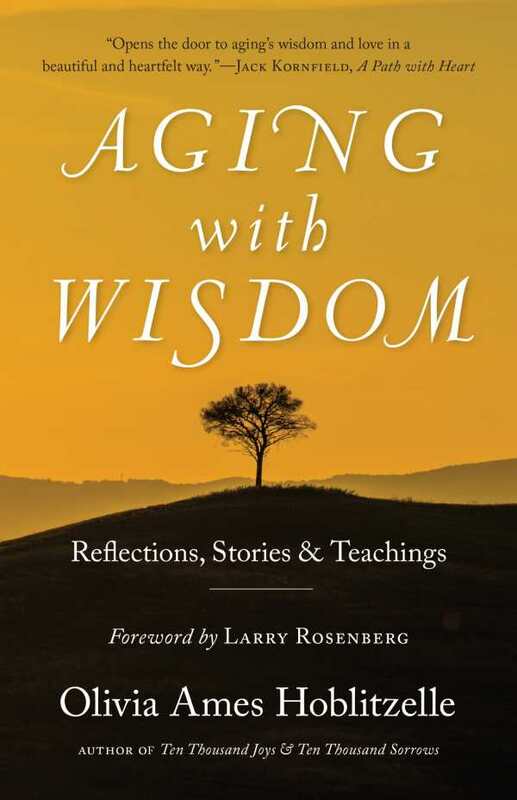 As a counter, Olivia Ames Hoblitzelle offers comforting and empowering reflections, readings, and lessons on growing older in her book, Aging with Wisdom. Hoblitzelle’s previous book explored her and her husband’s experiences after his Alzheimer’s diagnosis, through to his death six years later. This book widens those explorations of aging and death to include many other examples of people who chose to live their later years on their own terms. Hoblitzelle’s is a heartfelt, heartening guide to the later years. It shares approaches for opening up to the aging process, for finding beauty and grace in the inevitable decline and losses of old age, and for seeking gratitude, humor, and joy in the final stages of life. The time of life after children have grown up and left their childhood home is referred to in Hindu philosophy as the “forest monk” stage—when contemplation and a potentially more spiritual life can come forth after the busyness of career and child-rearing have calmed. This period should not just be seen in terms of loss, Hoblitzelle argues, but as a time when personal development can come to the forefront. As much as it is about living well, the book is also about dying well. It includes stories about people who have served as the author’s guides in her understanding of what it means to age with wisdom. It explores a variety of spiritual traditions and includes loving profiles of people who have served as wayshowers to the author as she navigates the challenges and opportunities of growing older. These stories should help readers to understand what’s happening in the final transitions of life and guide them to having a more meaningful and graceful experience of this time, whether with aging parents or family members or in their own lives.